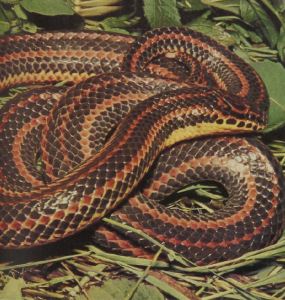 Two 4-foot-long, smooth-scaled, semi-burrowing, aquatic snakes, the Rainbow Snake and the Mud Snake, range across the moist subtropical regions of the United States extending north to Maryland and west to eastern Texas. Both species feed on invertebrates, salamanders, fishes, and frogs which they swallow alive and then suffocate. 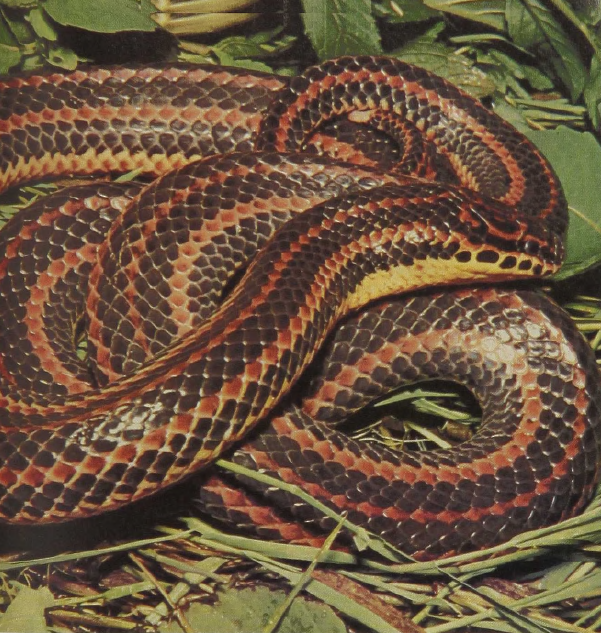 For its food source the Mud Snake specializes in the large, elongate, aquatic salamanders, such as the Congo eel, commonly found in Florida and along the Gulf coastal regions. They can constrict, but often do not do so. Both the Rainbow and the Mud Snakes are very brightly colored and show the shiny iridescence in their very smooth scales.